Between Malta and Gozo lies the sister island of Comino, indeed a paradise for swimmers, snorkelers, divers and walkers. Yet still being carefree it is the perfect place to escape from the heavily commuted ports of Malta. 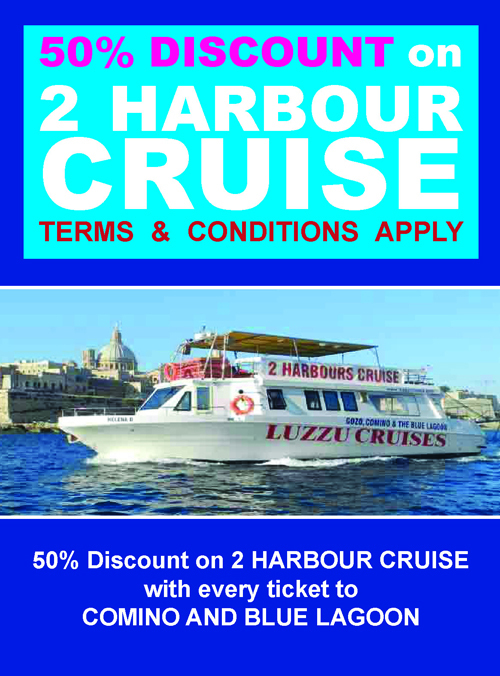 We depart from Sliema Strand and cruise north, passing by Sliema promenade, St. Julian’s Bay, St. George’s Bay, Qawra Bay, St. Paul’s Bay and St. Paul’s Island and Mellieha Bay to the enchanting island of Comino.